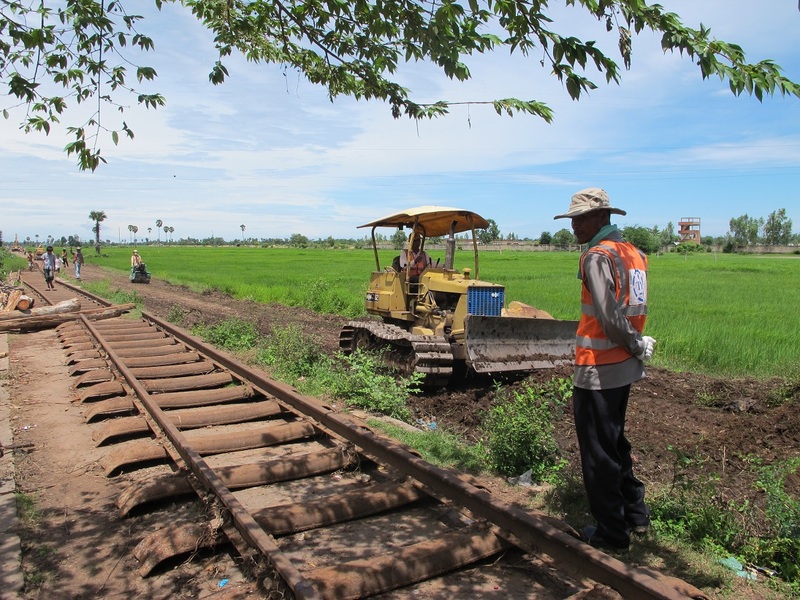 Following the silencing of NGOs monitoring the resettlement impacts of the ADB and AusAID-financed railways rehabilitation project, relocations in Phnom Penh have begun right in the middle of the rainy season. 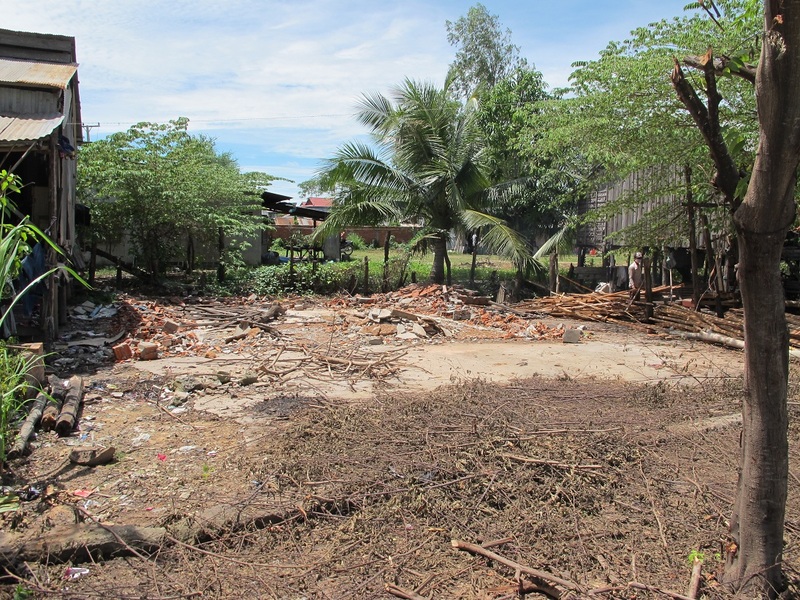 Six out of twelve families living along the railway off street 120K have already accepted compensation and moved to the relocation site in Trapeang Anchangh. On Sep. 17, staff from TSO were seen working in the area – according to community members they were digging a ditch. No confirmed details are available as to why the 12 households in the area, whose houses do not fall within the railways 3.5m Corridor of Impact (CoI), are required to move. Officials have claimed they live in the old Samrong station which is now beyond derelict, yet there seem to be no plans to use the land for a new station. Many of the 12 households have received compensation as low as US$700. One household that refuses to move furthermore has receipts from systematic land titling in the area, yet has been decreed “landless” by the Inter-Ministerial Resettlement Committee (IRC).